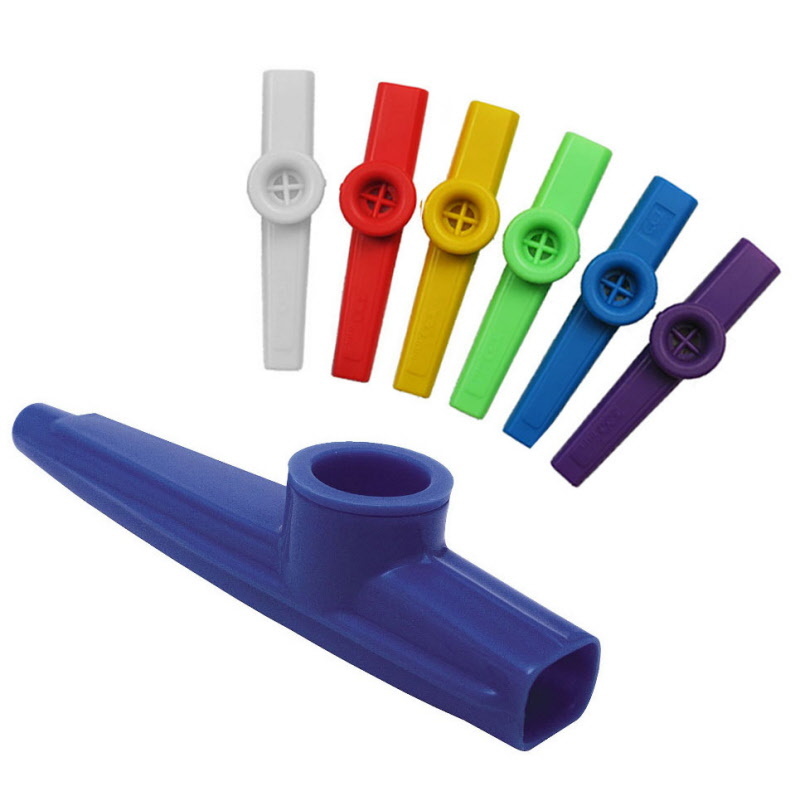 The classic Kazoo for the music maker in your family. If you can hum, you can play it! The edge on these toy kazoos has been rounded to be smooth and safe. These 4.5 inch long plastic kazoos are individually packaged. For safety, all products are individually heat-sealed, giving your customer the confidence to purchase an "un-played" product. Assorted colors vary [White, Red, Yellow, Green, Blue & Purple].